Monaco, officially the Principality of Monaco is a small sovereign city-state located in South Western Europe on the northern central coast of the Mediterranean Sea, having a land border on three sides only with France, and being about 16 km (9.9 mi) away from Italy. Its size is just under 2 km² with an estimated population of almost 33,000. Monaco is the world's most densely populated sovereign country, and the world's smallest French-speaking country. An average person takes less than an hour to walk the entire length of the country. Monaco is the name of the country as well as the name of its only and capital city. It is often regarded as a tax haven, and many of its inhabitants are wealthy and from foreign countries, making up a majority of the population, at around 84%. Monaco is a constitutional monarchy and principality, with Prince Albert II as head of state. The House of Grimaldi has ruled Monaco since 1297, and the state's sovereignty was officially recognized by the Franco-Monegasque Treaty of 1861. Despite being independent, Monaco's defence is the responsibility of France. Monte Carlo is one of Monaco's administrative areas, sometimes erroneously believed to be a town or the country's capital, just as Monaco-Ville. The official capital is the city of Monaco, which shares the exact same territory as the country itself (Monaco is indeed a city-state). Monte Carlo, which lies in the French Riviera on the Mediterranean Sea in Monaco is surrounded by France and close to Italy. It is widely known for its casino, gambling, and glamour. 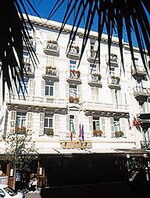 Since 1952 Monte Carlo is also the venue of the "Reinsurance Rendez-Vous", the oldest and one of the leading gatherings of the reinsurance industry. The Rendez-Vous is held annually during the first week of September. The permanent population is about 3,000. Monte Carlo quarter includes not only Monte Carlo proper where the famous Le Grand Casino is located, it also includes the neighbourhoods of Saint-Michel, Saint-Roman/Tenao, and the beach community of Larvotto. It borders the French town of Beausoleil (sometimes referred to as Monte-Carlo-Supérieur for image reasons). Four-floor balconied corner building situated in Monte Carlo, 500 meters from the harbour and Formula One Grand Prix start point. Guests can order Italian dishes in the relaxed restaurant, with its glass roof and dark wood panelling. This hotel features 35 guestrooms, all of which include direct-dial phones, safes, complimentary wireless Internet connections, and cable television. Guests can relax with a drink in the bar or take advantage of room service. For those interested in sightseeing, Internet connections are available for planning an itinerary or checking local information. Multilingual staff at the 24-hour desk will also be happy to offer assistance. Guests of the Ambassador Monaco enjoy a complimentary buffet breakfast each morning. La Malizia - Guests can sample Italian dishes in this restaurant with its relaxed ambience, dark wood panelling and glass roof. 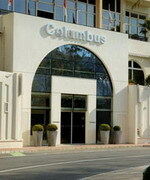 Columbus Monaco is located in Monaco, two kilometres from the centre of Monte Carlo. The port is 500 metres away, the Grimaldi Forum is one kilometre away, and Nice is at an 18-kilometre distance. The nearest station is situated 500 metres from the hotel. Opening to contemporary interiors finished in leather and marble, the Columbus Monaco is located in the Fontvieille area of Monaco and is housed in a modern nine-storey property accessible by elevator. Guests can workout in the gym, cool off in the outdoor pool, and book sightseeing trips through the multilingual concierge. There is an onsite gift shop, and laundry facilities, and 24-hour room service are available. The Columbus Monaco houses the stylish, modern La Brasserie offering a range of regional and Mediterranean dishes and opening to a terrace area. The sleek cocktail bar adjoining the lobby serves light meals and speciality martinis. The Fairmont Monte Carlo is set between a casino and the Mediterranean coast, one kilometre from the luxury boutiques on the Carre d'Or. Guests can exercise in the 800-square-metre fitness centre whilst enjoying views of Monaco and the beach. Trainers are on hand to offer advice and tailored programmes, and there is a wide range of classes available including step, body sculpting, and yoga. A heated rooftop pool is open year-round and is surrounded by lounge chairs on wooden decking. Guests can unwind in a sauna and steam room, while spa treatments including Swedish massage, reflexology, and facial beauty treatments are available in the health club. Further indulgence is provided by the hotel's luxury shopping centre with its boutiques and gift shops, and complimentary sightseeing excursions are available from Tuesday to Saturday. In the evening guests, can enjoy dining options in the Argentin Grill, or enjoy a drink in the 24-hour Saphir Bar. This modern Monte Carlo property stands adjacent to Le Sporting concert hall, and is positioned one block from the Grimaldi Forum Convention Center in Monaco. Larvotto Beach is one block away, and the famed Casino de Monte-Carlo offers international gaming action 500 metres from the hotel. This grand hotel completed its Cristal Concept Project in 2005 that features two glass towers, a restaurant and 66 guestrooms with views of the Mediterranean. The lobby now features white-marble floors, a large blue crystal sculpture and curved glass walls with magnificent ocean views. L'intempo restaurant is open 24 hours a day, seven days a week. Chef Emanuel Lehrer commands the kitchen, and offers a range of unique Mediterranean dishes. L'intempo Bar provides chic atmosphere, and offers a selection of champagnes and cigars. Le Bar & Lunch specializes in grilled fish and meat dishes. Le Sea Club overlooks the sea and offers 3,000 square metres of function space that accommodates up to 2,000 people. The hotel's health club houses an indoor pool located within a glass conservatory, two seasonal, garden-bordered seawater pools, saunas and a gymnasium. 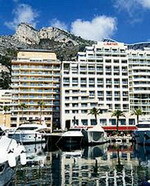 The waterfront Marriott Riviera La Porte de Monaco hotel is located in Cap d'Ail, France, flanking the Principality of Monaco to the northeast. The hotel is 100 metres from the Cap d'Ail beaches of the Mediterranean and within one kilometre of Monte Carlo casino, Le Rocher Palace and Monaco-Monte Carlo train station. Overlooking the harbour filled with luxury yachts, the modern Marriott Riviera La Porte de Monaco hotel has a 24-hour front desk where staff can provide tourist information, a babysitting service and currency exchange. At the Marriott Riviera La Porte de Monaco hotel, guests can dine on French cuisine on the terrace of the Brasserie Le Cap restaurant, offering harbour views. Local wines and cocktails are served in the poolside bar and Le Cap lounge bar. 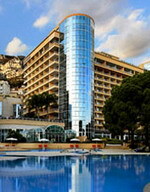 The Marriott Riviera La Porte de Monaco hotel offers business services and has conference rooms for hire. Wireless Internet access is available in public areas. The hotel has an outdoor swimming pool and a fitness room with cardiovascular equipment and weights. 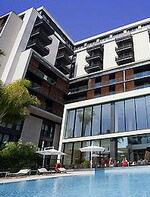 The Novotel Monte Carlo 3 is a large contemporary hotel located in the centre of Monte Carlo, Monaco, 100 metres from the shopping district and 500 metres from the Casino. Larvotto beach is 800 metres away. Featuring eye-catching ultramodern design amid bright white spaces that maximise natural light, the Novotel Monte Carlo 3 offers an outdoor swimming pool and large poolside terrace. Gym equipment is complemented by a Turkish bath, and the landscaped garden has a solarium. A complimentary high-speed Internet connection is offered throughout the property, and complimentary newspapers are available to browse in the chic lobby. Restaurant Les Grandes Ondes at Novotel Monte Carlo 3 is a contemporary restaurant offering innovative Mediterranean cookery. Meals can be enjoyed on the poolside terrace. Bar Novotel Cafe offers a snack menu, with direct open access to the landscaped garden. Larvotto beach and Monte Carlo Tennis Club are both 800 metres from the hotel. Residence les Jardins d'Elisa is a modern apartment complex located in Beausoleil, France, 100 metres from the Monaco border and two kilometres from Monte-Carlo Casino. 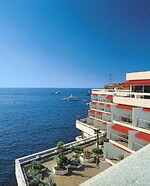 Larvotto beach is three kilometres away and Monaco train station is four kilometres from the hotel. 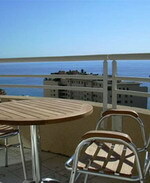 Located on the French Riviera, this modern, six-storey apartment complex offers wireless Internet access throughout. A vending machine in the lobby offers snacks and coffee. The residence offers parking facilities (surcharge). Residence les Jardins d'Elisa does not house a restaurant, but the local area offers several dining options. The surrounding area offers a children's playground and opportunities for swimming, tennis, horse riding, and water sports, including boating, jet skiing, and parasailing. Scooters can be hired in the area. The Les Jardin d'Elisa has 93 air-conditioned self-catering apartments, all of which feature terraces with city or sea views.